It’s awful isn’t it ☹️ Lily had it quite bad and it was the week her dad was away for work, I barely slept the whole week! I’m not sure if harry does have it, I’m hoping not 😬 how has leon been with millie? Is she okay now you don’t have any dairy? and how did they say to reintroduce to her? bobble how are you and Rosie faith doing? Whale chick how are you & Frejya? 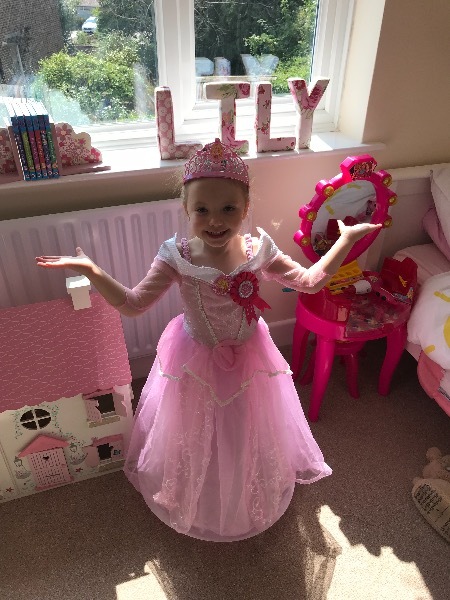 Glad Lily has been better. She looks so cute all ready for her party! Bet you can't belive she starts big school soon. Hallie and I are all better now but her mornings have changed so instead of going u til say 8ish she now wakes between 6.15-6.45. I know that's still good but a bit of an adjustment considering she's been going to at least 7.15 since around 10 weeks. Mrs fish we don't have any teeth yet but definitely teething. Everything goes in her mouth and when it's my hand she's not just sucking she's really chomping down! So I don't think we have long to wait. I found yous! (My brain is still mush so I forgot the name of the thread, lol). 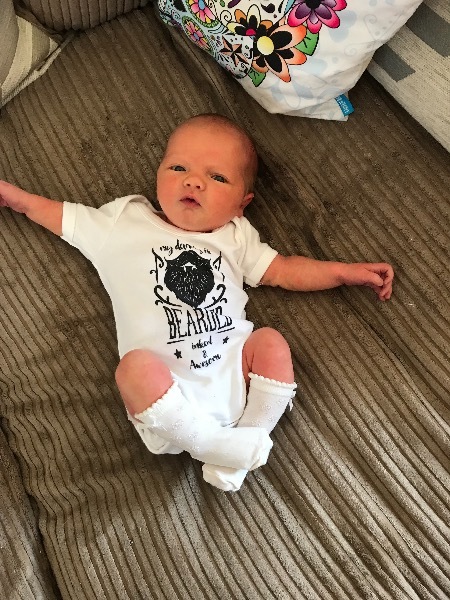 so many gorgeous baby pics to catch up on, can’t believe how big all of them are, it’s going so fast! How is everyone? And how are all the babies? We are doing well, thanku mummytoL+H. Tired because Freyja doesnt like to sleep at night, other than that I am slightly emotional due to hormones. I have a question for everyone, I am breast feeding, it isnt easy as little miss cluster feeds for hours at night And my body is struggling to keep up (she is only a week old so to be expected), my question is does anyone else have family members who undermine you/the feeing/how you have chose to do things? My mil keeps making snide remarks about Freyja ’not getting enough and that is why she isn’t sleeping’, even though I have fed for four hours, and every professional has said she is feeding perfectly. I just am struggling with not feeling like a failure because I’m not meeting other people’s expectations, and then today I thought maybe it’s because she is annoyed she can’t feed her and hold her more? Whale chick I feel your pain! Harry’s not a great sleeper either! I’m just a permanent zombie atm 😂 I couldn’t tell you how many times I woken my oh Up and hinted saying are you enjoying your sleep for him to say yes and go back to sleep 😂 I would ignore your mil you know what’s best for freyja you’d soon know if she wasn’t getting enough & your milk will increase the more she feeds! As long as she’s gaining weight & the professionals tell you she’s doing well who cares if she wants to feed her you can always express once you & freyja are ready to! She’ll just have to wait her turn won’t she 😜 don’t let it get you down you’re not a failure at all you’re doing perfect! Harry’s formula fed so I can see exactly what he’s having & believe me he’s having enough but he’s still a sh*t sleeper at night so that means nothing! She looks beautiful & content you’re doing so well please don’t let someone else’s comments make you think otherwise! 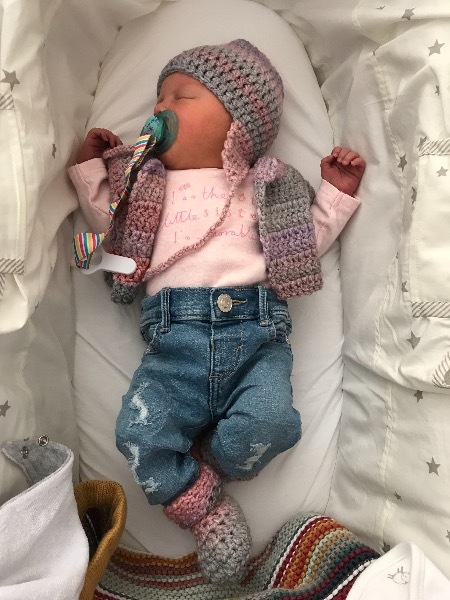 Welcome to our Rainbow babies thread Whalechick, Frejya is stunning 😍😍 love the pics and the little knitted outfit - gorgeouS!! Breastfeeding in the early days is super tough!! But if you stick with it, I promise it does get easier. Breastfed babies do take longer to regain their birth weight as it does take a few days for your milk to come in properly. 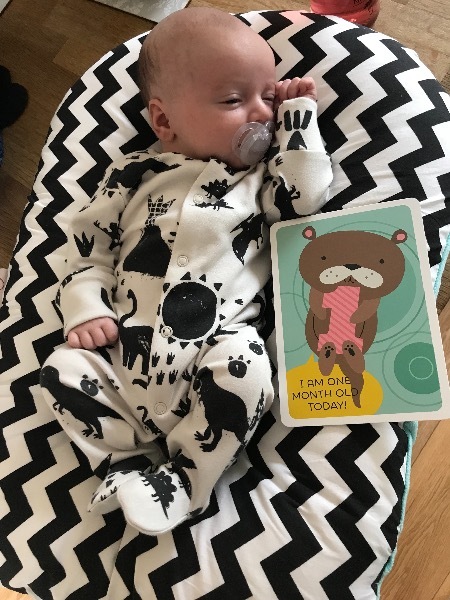 This can cause anxieties and many people will tell you to top up with formula- I had Drs, midwives etc telling me to top up or she would be in neonatal with a tube being fed formula, so I did. A word of advice, the more formula or bottles you give, the more of a challenge it is to get breastfeeding established. I had 3 days where she cometely refused to feed from me, I sobbed Every time i tried and was ready to chuck it all in, and the. She started again! 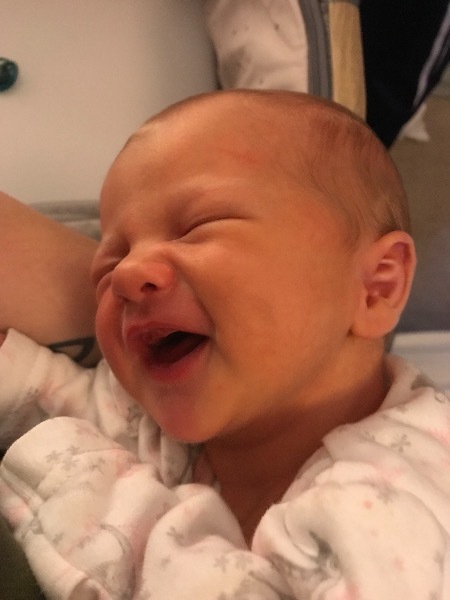 My little lady was only 12lb2 at 21 weeks and right down near the sexind percentile, my MIL constantly tells me I can’t be producing enough milk, but I am constay being reassured that if she isn’t screaming constantly, rooting and producing both wet and dirty nappies than all is well. I have friends who’s exclusive bf babies are on 91st+ percentile, do my bubba is just a bit of a little one! If you can seek out bf support groups local to you, I found them soooo helpful! They will check latch, discuss different positions etc etc. Most importantly do what is best for you and bugger everyone else!! 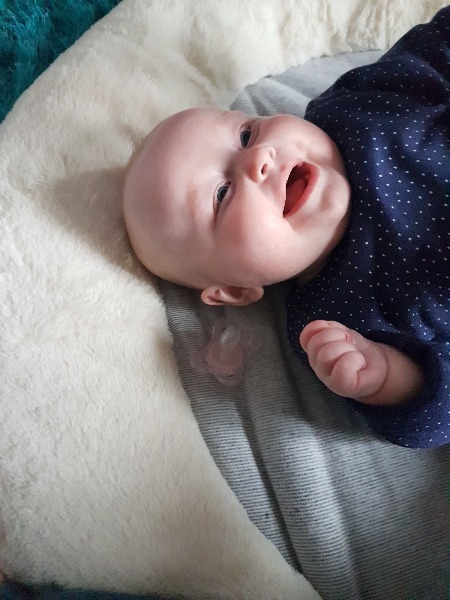 I have found our routine is all over the place at the moment 😔 I have read that they can have slee regression at 4-5months, that coupled with the arrival of her new fang we have been up repeatedly throughout the night. She used to go from 8pm-6am, now she feeds again at 11 and then last night 2,3,5 and up at 7 😔 I am like a walking zombie again, as had slept through from 8ish weeks. 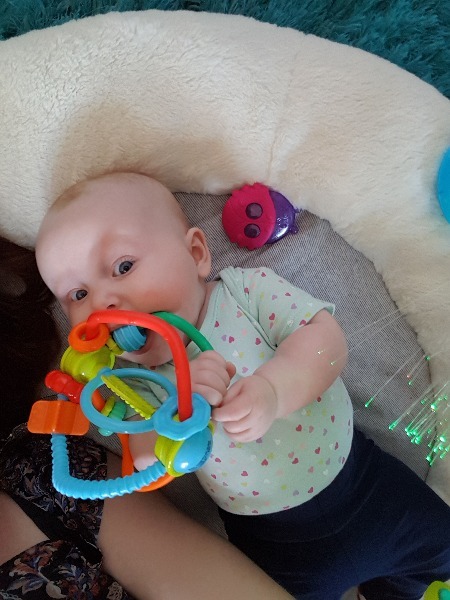 She has had a couple of super screaming evening where the tooth has broken through, we have calpolled up and using a chemist supply of different teething products - it’s not fun tho. I have started weaning, she is defo not ready yet, but need her to get used to food as I have to leave her for 3 days in October - to be honest I am starting to think I don’t want to go, but it’s a long way off so we will see how things are nearer the time. What a beautiful family photo, mummytoL+H, you all look so happy and you look amazing for harry only being a month! lisl, Hallie is one of the happiest looking babies I have ever seen, those Cheeks just make me want to squidge them, lol. MrsFish, how is Amelie doing today? how are you doing? And what is sperm meets egg? Freyja has put on weight 😁 so anyone who mentions her not getting enough food is getting told to bite me, lol. Mrs fish oh no that’s not good going back to getting up all those times must be exhausted for you how have the last couple of nights been? thank you! She’ll definitely make me proud 💗 with Millie’s teething have you tried Ashton and parsons? its the only thing that helped with lilys teething it’s just a powder that you rub into there gums and it makes them numb, it worked wonders! Mrs Rees yeah at least I’ll have harry to look after but 9/10 she’s a joy to be around & so funny so I’ll definitely miss having her home all day ☹️ are rach & Momcat still on the other thread? 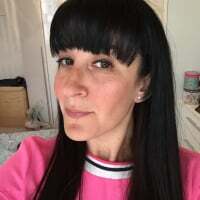 Whalechick thank you it’s made my day you’ve said that as I’m reallg struggling to lose weight atm ☹️ I’m eating all slimming world and doing loads of walking so I don’t know why it’s not coming off, Infact I’m putting on! 😭 how did you get on at the hospital? Yay for freyja putting on weight! That’s great! You can tell your mother in law where to go now xD how much does she weight now? It could be muscle, mummytoL+H, if you are walking a lot then it could build faster. but You fed don’t look like you need to lose any weight Anyway! she is back up to 8lb1, so an ounce down from her birth weight (Which I got wrong for the first week, lol). Mil’s new one is that because freyja gets a bottle at night, because she cluster feeds so much I can’t keep up, then we can give her them during the day. Bf just said no, thankfully. Hospital went ok, I am on antibiotics just incase there is an infection, which, if they help, will hopefully mean I have more energy soon. That way of trying makes a lot of sense, just dtd as much as possible and then you can’t really miss the day. How was your trip to the zoo? Whalechick I’m at my wits end with it I’m feeling massive and it’s getting me down ☹️ So glad freyjas weight has gone back up! And that your bf stuck up for you and said no hopefully She gets the picture! Had harry weighed this morning he’s now 10lb12oz at 5 weeks! Hey lovelys sorry ive been away for so long! Spain was lovely thanks for those who asked 😁 Hope everyone has enjoyed the summer, looks like it's coming to a brisk end here in London! Whalechick congrats! Freyja is gorgeous, I hope your labour and birth went well. ** leo has been a nightmare recently... stroppy, rude, unhelpful and generally a not very nice little boy! We are reining in on him though so hoping to see a change soon! Isla is still a very fussy difficult madam 😂 She's 6 months old today ladies can you believe it!!! She also on solids now 3 times a day and has started to sit up unaided and also crawl. She gets extremely frustrated with her limitations and ends up very upset by it all. She said been waking every 1-2 hours at nilight as well so I'm absolutely exhausted! so I ended up switching my phone off for a few days, was pure bliss, like she you go away and don’t have to deal with any crap 😁 will defo do that again When i feel a but overwhelmed by stuff. 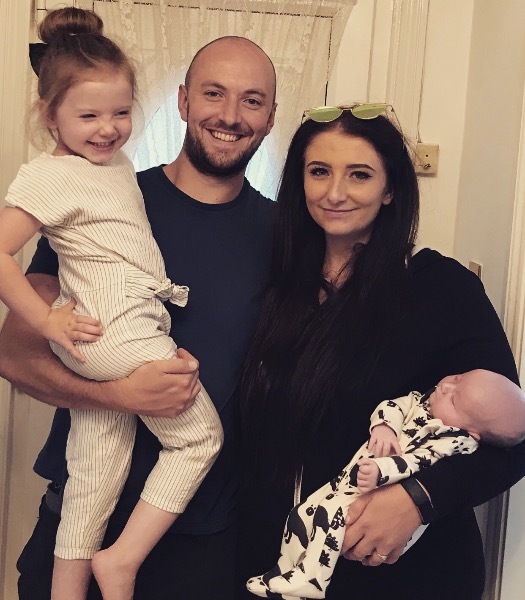 Mrs Rees, I think that how I fell with Amelie, we dtd pretty much every day for 2 weeks - you are right it turns into a bit of a chore really, but we got the result we needed. Ele welcome to the group, well done you setting up a business!!! Can’t believe Isla is crawling!! That’s amazing news, she is soooo clever. How old is Leo? whalechick how are things going with Freyja? Glad hubbie is also standing up to his Mum and supporting you, how’s the feeding? Ele sorry to hear Leo’s being a bit of a pickle! Hopefully he goes back to normal when he goes back to school! lily has got a lot better but is still having days where she’s being a little bit of a brat (foot stomping & spends the whole day saying I want) I just feel bad for telling her off because I don’t want her to think that I love harry more than her but I also don’t want to let her get away with being naughty otherwise she’ll be like it all the time! Luckily atm she has gone back to being mostly behaved which I am so relieved about as it was really getting me down constantly telling her off! I think it was a mix of harry being born and her birthday coming up that made it worse I remember last year her being a bit like ‘I can do what I want’ 🙄 massive congrats on your business that’s great! mrs fish that’s not very nice of your friend to be like that, whether you knew it was coming up or not doesn’t mean you could have saved for It! I’m sure the bank would of understood why you couldn’t pay your mortgage for it 🙄 She should count herself lucky that you’re spending money to go to Paris just for her birthday especially being on maternity wage! I hope you sort things out soon! & thank you she is beautiful inside & out (just less of the foot stomping 😂) how often is she waking in the night now? 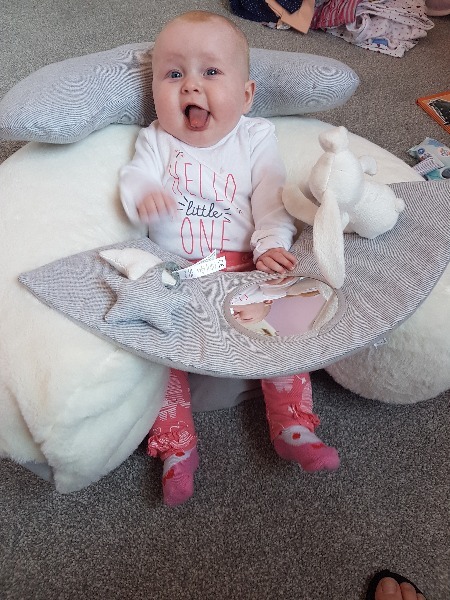 Hopefully her teeth will just all start to follow now, I remember with lily as soon as she had 1 it wasn’t long until she had a mouth full! It’s a shame about your sons gcse results but definitely agree with effort, me and my older brother didn’t really bother but my younger brother revised every night and absolutely smashed it he’s just finished college after studying law for 2 years and he done really well with that but doesn’t want to go to uni which is such a shame, what does your son want to do next? Mrs Rees how are you? I have just made a big mistake 😬 me & oh got a bit carried away this morning and dtd for the first time since harrys birth, no contraception and no pulling out 😬 I am now quite worried as I’ve never struggled to fall pregnant before, Lily was second cycle angel baby was first cycle and harry was second cycle 😬 harrys now 5 weeks and 3 days old what does everyone think my chances are of falling? I haven’t had a period yet and don’t really want to take the morning after pill!